Last month we celebrated Anniversary for our Monsoon Wedding. 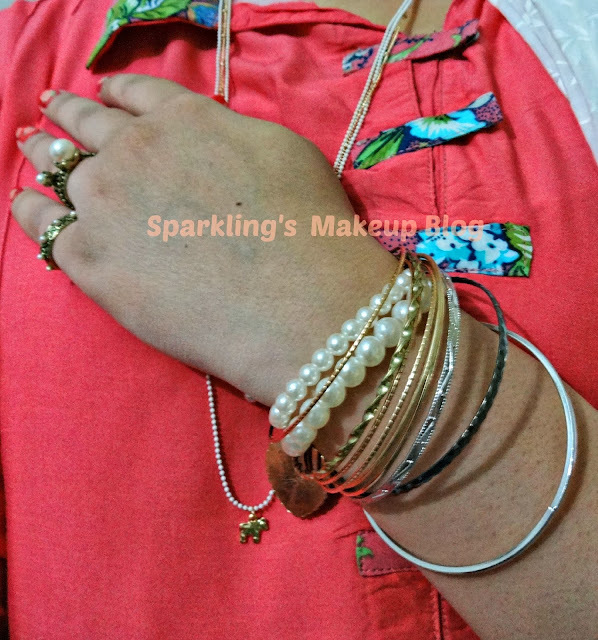 I know its a bit late but still hope you will like my simple attire and accessorize for the little celebration. To Reveal More Read More!!! 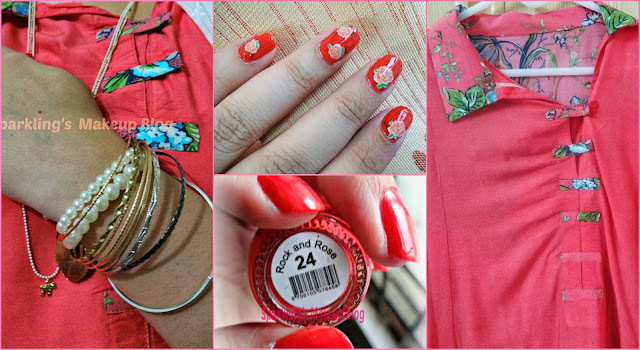 Bought this Kurta/shirt of Fashion Cafe from Daraz.pk, haul post HERE. 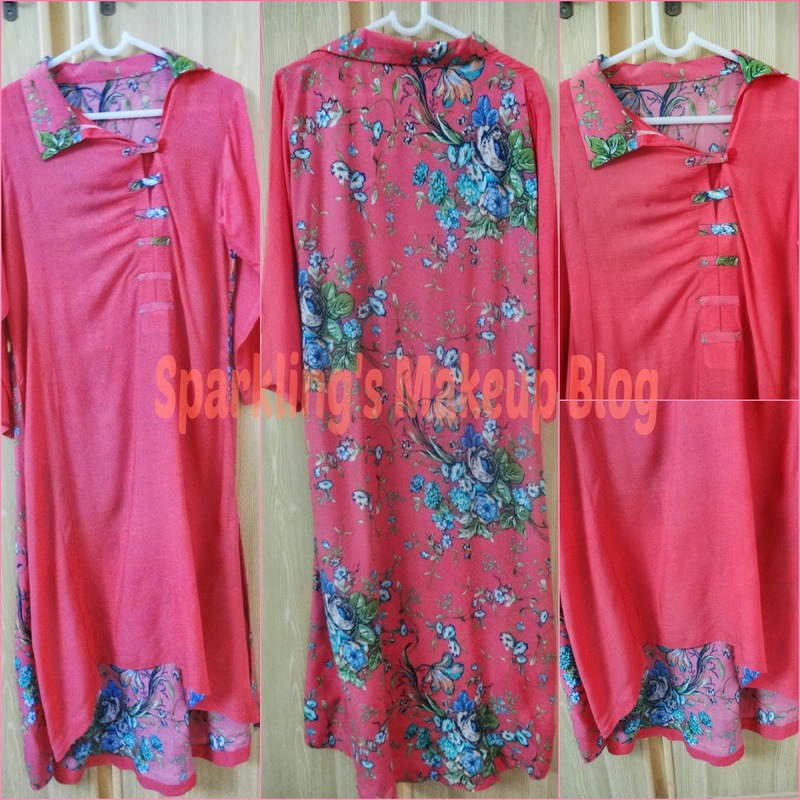 It has a solid front in Peach-y Orange colour, with a printed back. The front has a side angled colour along with a fashionable slit hooked with printed loops. The backside is little longer than the front. It has three pin-stitches and the right side starting from shoulder till the hem. Its cost was Pkr 1450/-. 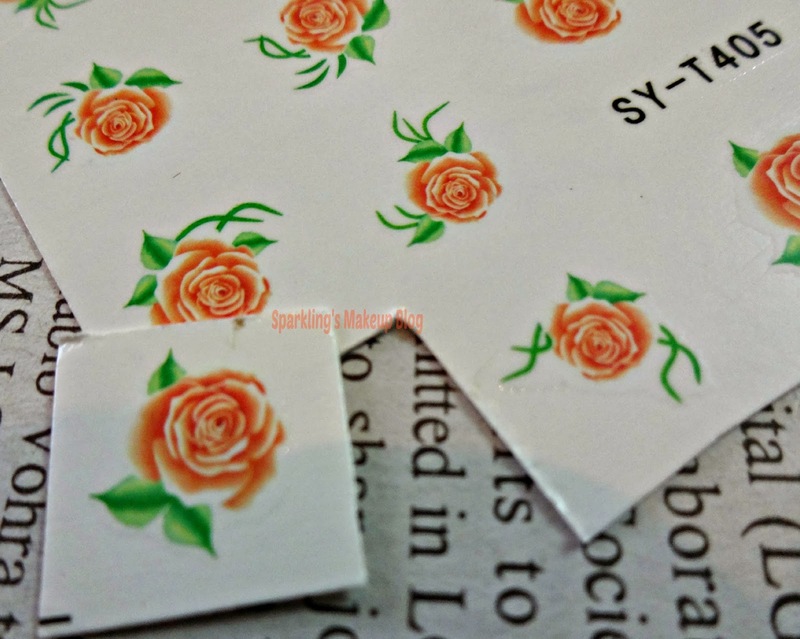 I paired it with plain white shalwar and white Dupatta with multi-coloured embroidery. 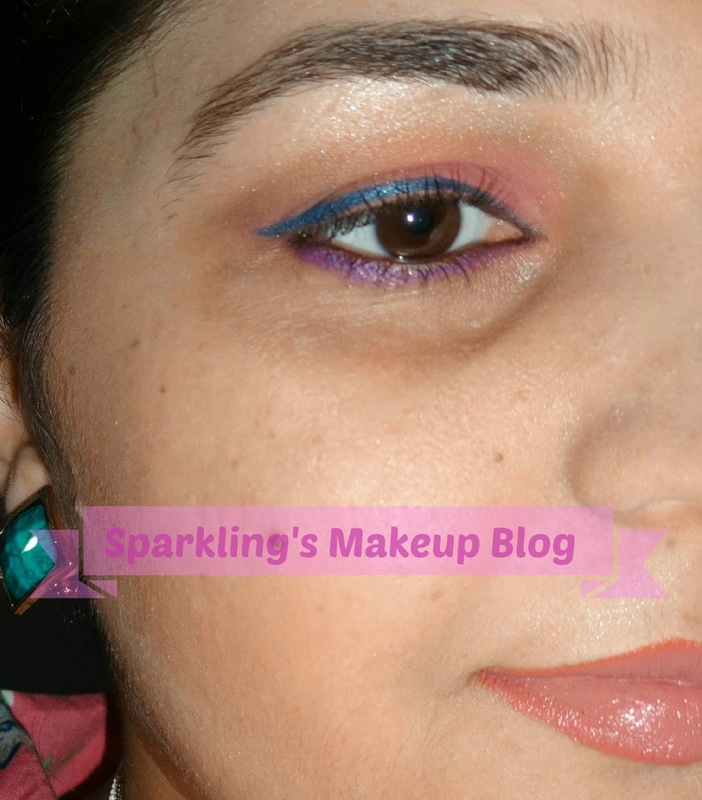 As it was Monsoon season, and I could not afford any makeup, so I kept it as simple I could, except the pop of colours on my eyes. I applied my Garnier BB cream for Oily/combination Skin. 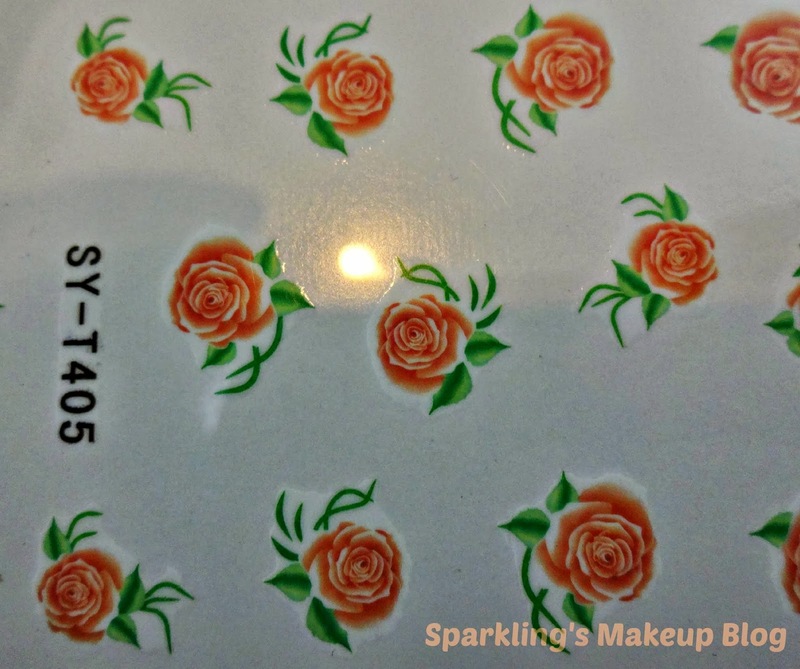 A little "Peach Melba", reviewed HERE, as blush and my all time Summer favourite Golden Rose Lipstick in #103 on my lips, reviewed HERE. Soft eyeshadows from my "Oh So Special" palette from Sleek makeup, reviewed HERE, and my trusted and loved Luscious Bold Metallic pencils in Electric Blue and Metallic Purple, reviewed HERE. I took benefit of the Solid front of my shirt and wore this Triple Chain Long Necklace and Leopard Print Mix Bangles along with pearly Rings. 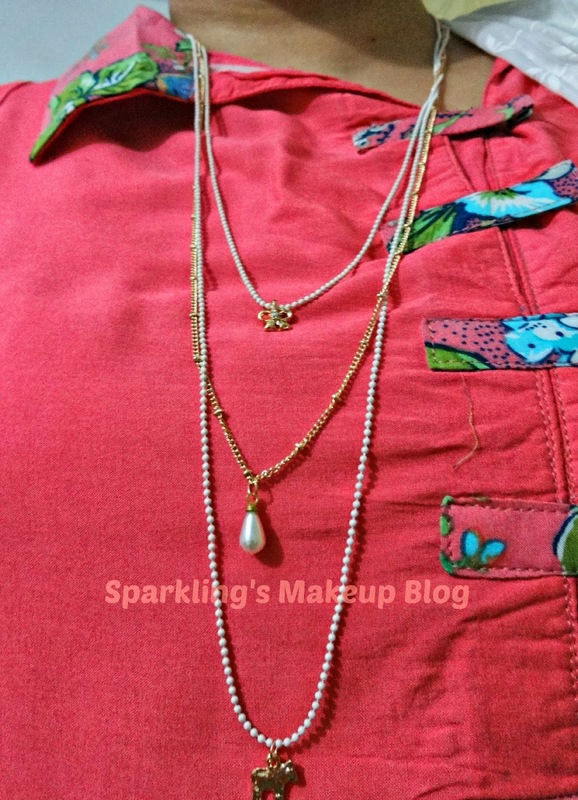 The Sea-green Square Studs also went along. All jewelry is from "Ethereal Collection" for details check my post HERE. 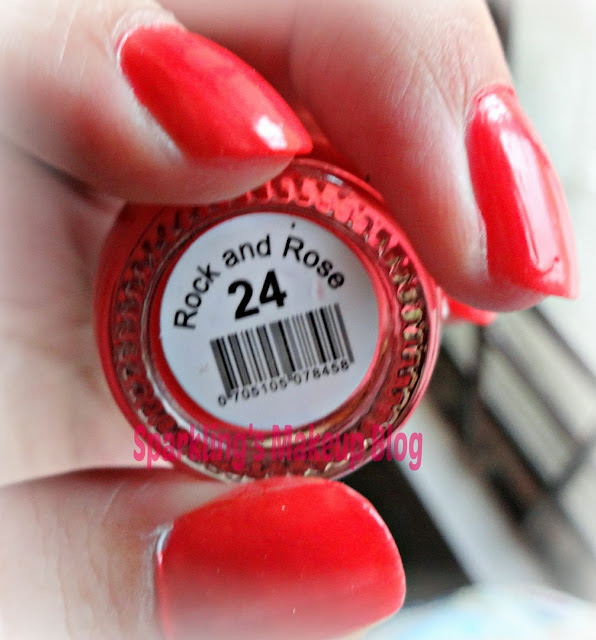 Luscious Nail Lacquer "Rock and Rose"
Base colour Luscious Nail Lacquer "Rock and Rose"
I bought this Water Decal sheet from Nail Art Collection, an online store for Pkr 40/-, check my Nail Art Haul HERE. 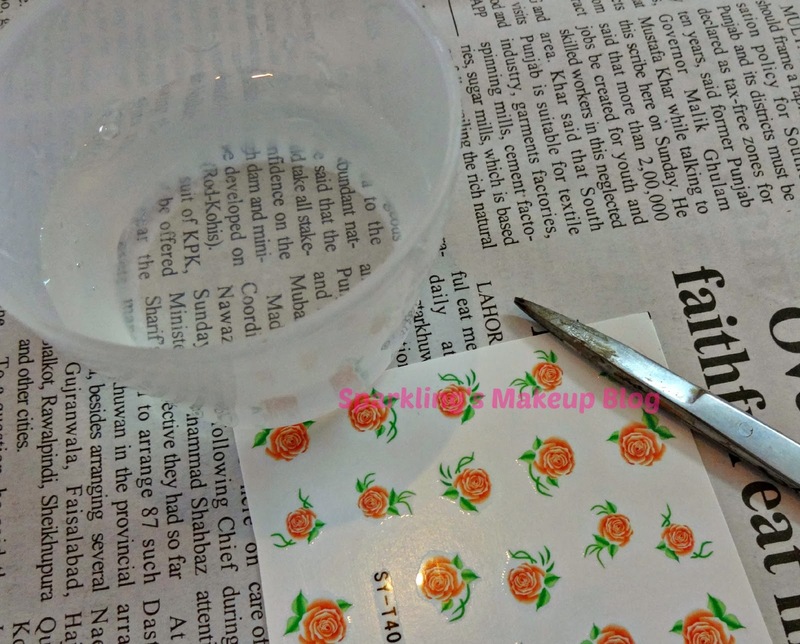 For a detailed application of water decals check another post HERE. 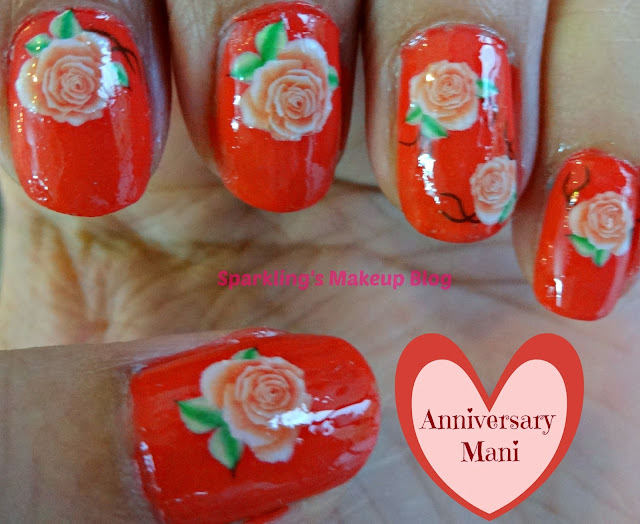 Hope you like this Simple Monsoon Wedding Anniversary Celebration Post. Do share your views, comment, share, like, tweet, G+ and Pin IT. 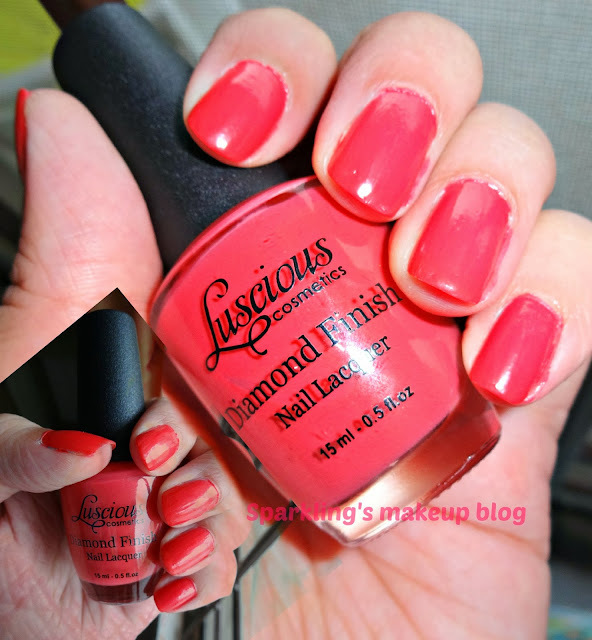 Do read other Sparkling Posts on FOTD, OOTD, NOTD. 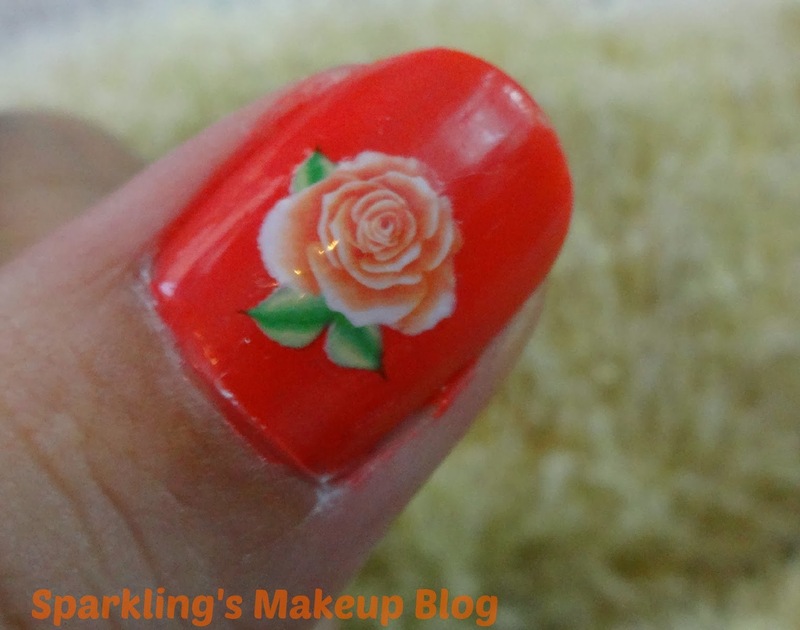 Do you like a simple look for celebrations or love adding some Glam??? lovely outfit and OO nail art is cute too. 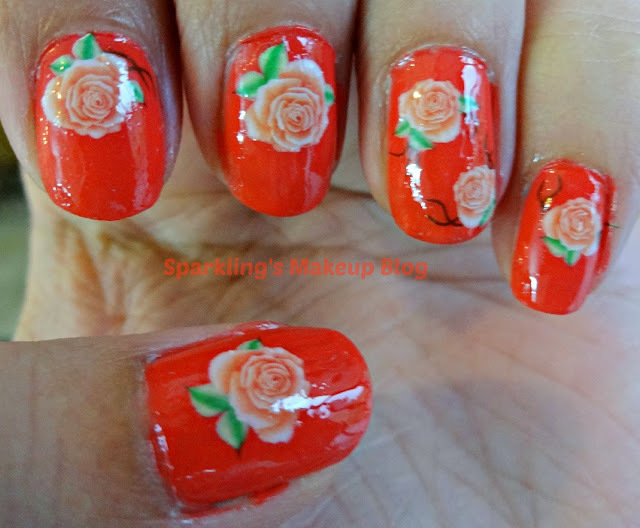 Love the Rose Stickers on the nails !